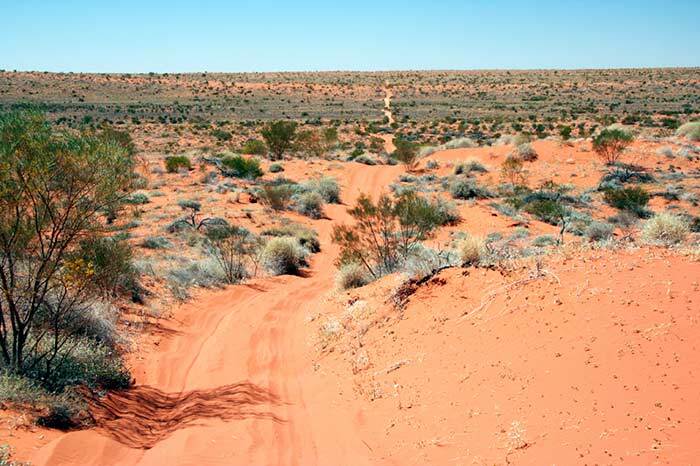 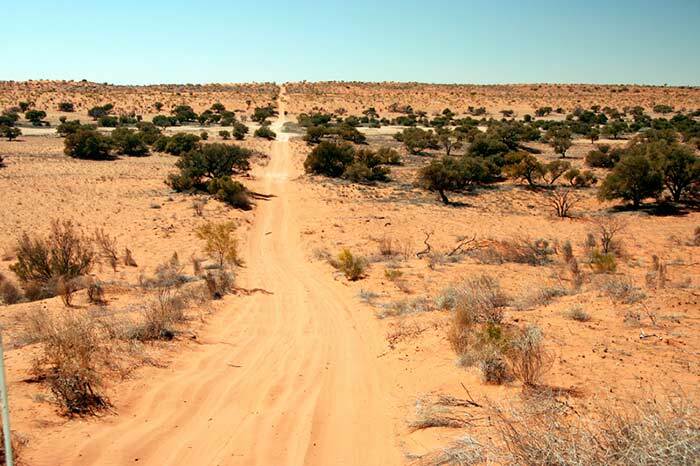 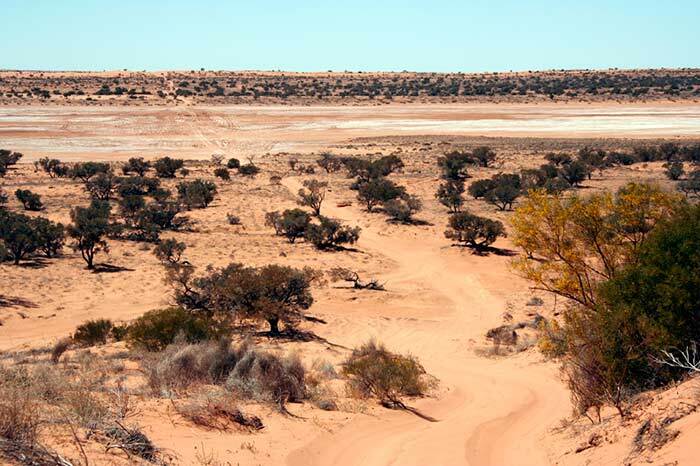 The Simpson Desert is a hazardous and remote location, yet attracts four wheel drivers and motorbike riders by the hundreds annually. 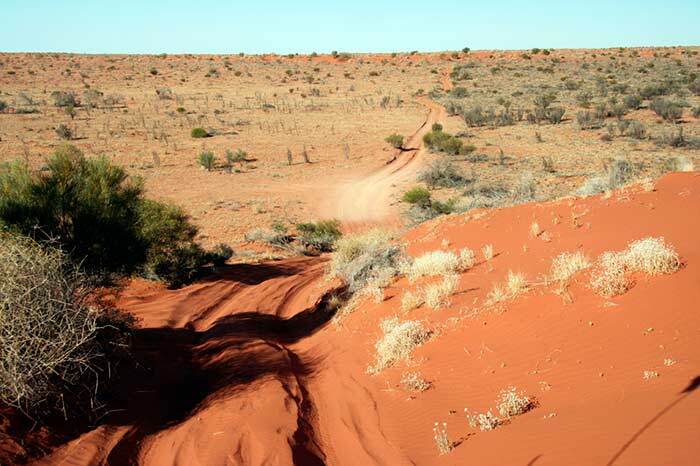 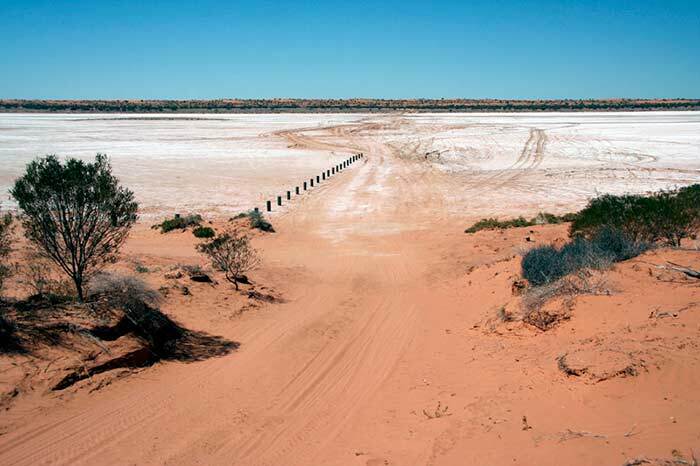 The first successful crossing was made by Ted Colson in 1936 but was much later, in 1962, before the first motorised desert crossing was made by geologist Reg Sprigg with his family. 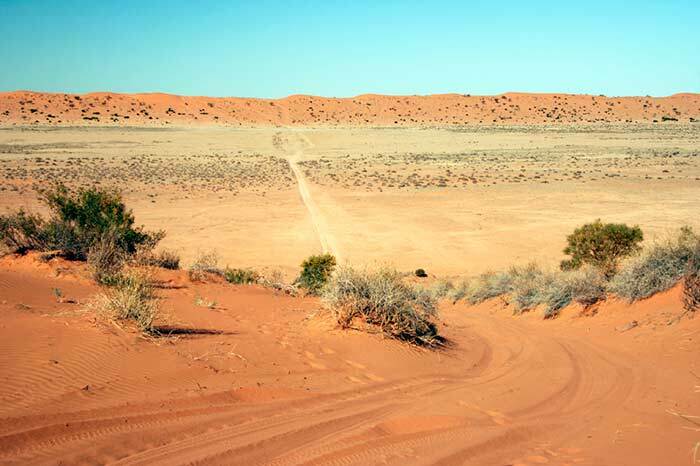 Today, 4WD enthusiasts, adventurers, tourists and those seeking the challenges of the desert, traverse the 1100 sand dunes and many other tracks. 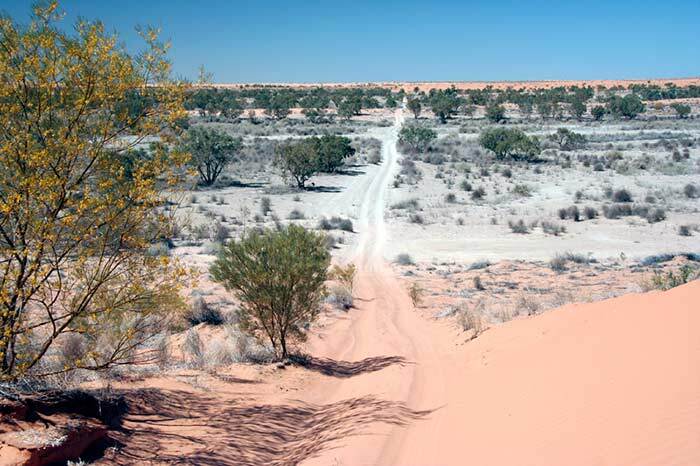 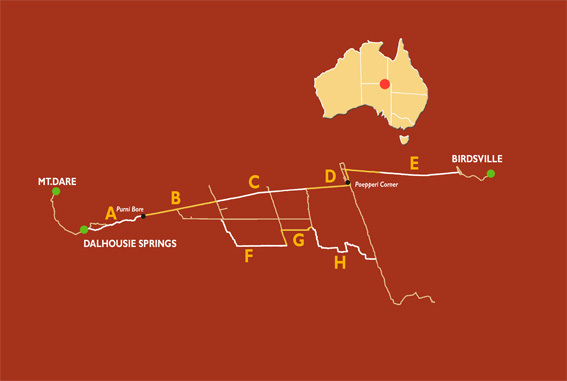 Wild camels and dingos roam throughout the area with eagles overhead and large perentie seen on rare occasions. 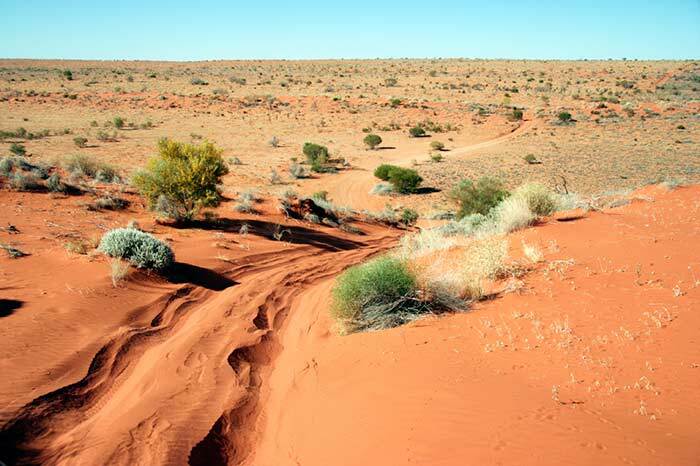 The Simpson Desert offers an insight into some of Australia?s toughest red sand dune country, however, such a trip should never be taken lightly. 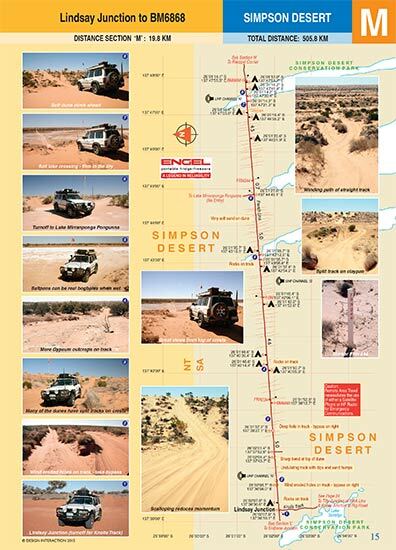 Travellers should be well prepared for such an adventure and must have adequate 4WD knowledge and recovery skills. 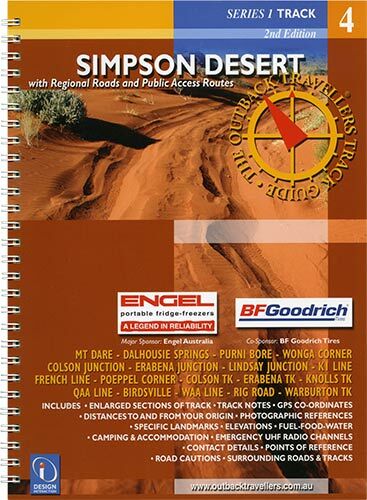 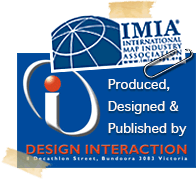 The Sectioned Maps will help you find everything of interest along the Track and point out potential road cautions in advance, supported by visual references, for the benefit of your safety.